Meet the 19th President of the United States that was against slavery, Rutherford Birchard Hayes. He was born on October 4,1822 in Delaware,Ohio. He had 5 siblings: a brother and a sister who died before she was born. Hayes was preparing for college at private schools in Norwalk in 1838 and he entered Kenyon College in Camden. He also got into Harvard law school. 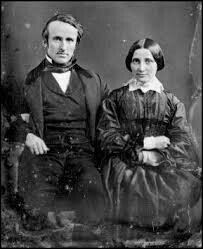 On December 30,1852 Rutherford married Lucy Ware Webb and they had 8 kids but 3 died in infancy. He was a lawyer in Ohio and he was so poor he slept in his office to save money. Hayes was president from 1822-1893 and was the 19th to be elected. He reconstructed and rebuilt the south after the Civil War. Did you know that he lost the popular vote to Tilden in the presidential election but won electoral vote? He also wanted to improve government and protect the rights of people to prevent racism. He wanted to try to protect black citizens. His famous quote was "He serves a party best who serves his country best." After he was president, he died from a heart attack on January 17,1893. His famous quote was. My opinion about this president is he didn’t have a good childhood because his father died before he was born and was raised by his mom and uncle this might of affected him with his school work so he tried hard to pursue his life. Some facts you didn't know about Rutherford Hayes were he didn't serve or drink alcohol in the white house. His wife served lemonade but made it smell like alcohol. You might know that there is an Easter Egg hunt at the white house, but Rutherford held the first Easter egg hunt and now it is an tradition. He announced ahead of time that he would only serve one term as president , as promised. And did not run for a second term.